Where is the Community Garden? Our community garden is located at the end of Nelson Place, across the street from the newly-formed East Row Swim Club (the old Hannaford Pool House). As reported by the National Association of Community Gardens (NACG): Very simply, it is any piece of land gardened by a group of people. More specifically, there are many types of community gardens; those dedicated to selling produce at a farmers market, some are used as a therapy garden, some are for school children, to name a few. 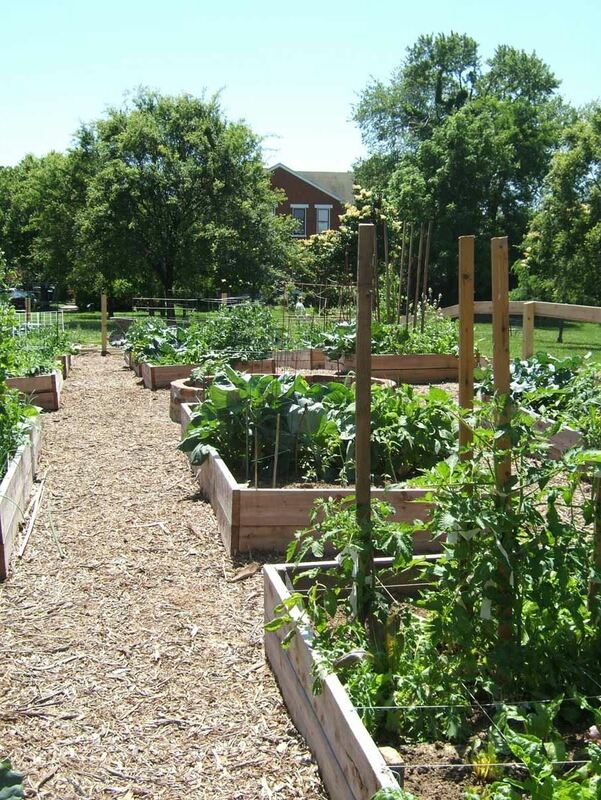 This is a neighborhood community garden that provides an opportunity for neighbors to come together and grow nutritious food while creating a beautiful green space for community members to spend time in. Click here to email the Community Garden Coordinator to get your name on the list for the next open plot. Applications are accepted and will be awarded on a first come, first served basis. The ERCG began in 2011 under the leadership of East Row residents Rachel Comte and Elizabeth Shely. With financial assistance from the East Row Garden Club, the Civic Garden Center, and the City of Newport, 27 raised beds were built and made available for lease to local individual gardeners. The ERCG provides neighborhood residents the opportunity to come together to learn about and practice organic gardening techniques and enjoy the fruits (and vegetables!) of their labor. ...by visiting the Community Garden posts.